There are some people who would like to have vehicles that are made with obvious luxury. This is exactly what Lincoln can offer. Lincoln is one of the divisions of Ford and it offers luxury vehicles that will be appreciated by people. This brand also offers limousines that can be used by people who have more money to spare. Take note that the Lincoln key replacement will be different from Ford key replacement. There are still some differences that should be considered to ensure that the key replacement will work perfectly well with the vehicle. Lincoln has been around for more than a century so there are different car models that people have known and still use right now. Some of the most popular Lincoln models are the following: Lincoln Mark LT, Lincoln Town Car, Lincoln Continental, Lincoln MKX, and Lincoln Navigator. 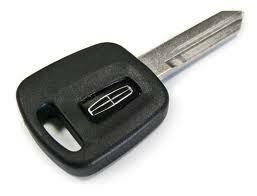 If in case your Lincoln car model is not mentioned above and you need key replacement, give us a call. We may still offer our auto locksmith services for your Lincoln vehicle. The key replacement can be a bit complicated when you do not have the right details about your car model and the year that it was made. If you own the vehicle, this will be too hard to know. Show us proof that you own the vehicle and we will proceed to work on the key replacement that you need. We make sure that our services will be done professionally and will be carried out at the soonest possible time. Our team wants to get you out of the stressful situation as soon as we can. We will be able to do that by providing Lincoln key FOB programming if in case you own one of the newer Lincoln car models. We know how a broken car key can make your car immobile so we will do our best to provide the key replacement in as little as half an hour. If you have a broken car key in the ignition, let us know about it. The more details that you tell us about your vehicle’s situation, the better it would be. Lincoln Key FOB Programming- Is it Needed? You may be surprised when you are told that you need Lincoln key FOB programming. 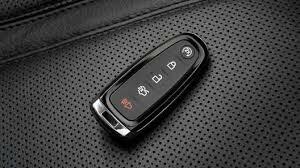 This will depend on the type of car key that you have as well as the model of your vehicle. Take note that most Lincoln vehicles will require programming if you want to use it again. Some old Lincoln models are kept in excellent condition and are still being used by classic car lovers from various parts of the world. If you have an old Lincoln model, you do not need Lincoln key FOB programming anymore. Yet, this means that you still need key replacement. You will not call a locksmith when you do not need a spare or a new key, right? If you are not sure about your car key, you can give us information and we will supply what you need. Take note that the key replacement is different from the Lincoln transponder key programming. If you need both services, it will take about an hour for the new car keys to be ready. This is still faster compared to contacting a dealer. Some people choose to contact a dealer instead of a locksmith because they feel that this will be ideal for them. It will depend on you if you think that this is a better option. Be prepared to prepare all of the required documents that are also needed if you would contact a locksmith. It is trickier if your key suddenly stops working while you are out. You need to have your car towed first before you will get an option to get your key. The fact that you have a Lincoln means that you only want the best. If in case you want to get the best and still be able to spend just the right amount of money, you need to contact us. Our team of locksmiths is always on call. They can get to your location within 20 minutes. You can provide us the information we need regarding Lincoln key replacement over the phone. Tell us where we need to send our professional locksmith and technician plus all of the information about the Lincoln car model that you are driving. Providing us with the make and the year will always be appreciated. We take pride in the fact that we can give the assistance that our customers need immediately. You will experience world-class automotive locksmith services with us. All you have to do is to give us a call. What if you would need the ignition of your Lincoln to be replaced? How are you supposed to know if this is necessary? This is when we will help you. Aside from our ability to provide you with key replacement, we can check the state of your ignition to decide if it is still fully operational. This is necessary when your ignition suddenly stops working. Tell us if you have noticed the ignition problems prior to getting key replacement or Lincoln key FOB programming. We proudly offer Lincoln key FOB programming that will not take a lot of time to do. Give us about 10 – 30 minutes for the programming alone. We will do our best to program your car keys immediately. The more efficient we work, the more satisfied you will be with our services. 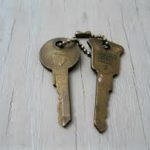 Do not hesitate to give us a call soon whether to inquire about the creation of spare keys for your Lincoln. From key replacement to Lincoln key FOB programming, we can provide your needed services.